Global eye care company Alcon have a new contact lens solution that aims to "revolutise the contact lens experience". Opti-Free PureMoist Multi-Purpose Disinfecting Solution will provide contact lens wearers with 16 hours of comfortable wear. 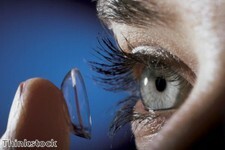 According to research recently carried out by Alcon, on average, users wear their lenses for more than 16 hours a day. However, many contact lens wearers commented that wearing their contacts for long periods of time resulted in dryness, tiredness and discomfort – which can eventually lead to high lens dropout rates. The company commented that a common misconception around these symptoms is that they are caused by the lenses themselves. In reality, such symptoms are really due to improper lens care, including the choice of disinfecting solution. In order to tackle this problem, Alcon created a solution that enables users to wear their contacts for longer, with fewer or no irritating side effects. The HydraGlyde Moisture Matrix works by creating a layer of moistness on the lens. The product was launched last week and has received good reviews from industry professionals. Jason Holland, Optometrist Association Australia director and Civil Aviation Safety Authority Australia credentialed optometrist, told mmail.com.my: "This innovation surrounds the contact lenses in a cushion of moisture to keep the lenses hydrated for an astounding 16 hours throughout the day, delivering comfort from lens insertion to removal." Aside from preserving moisture and promoting long-term use, Opti-Fee PureMoist also contains disinfectants, called Polyquad and Aldoz, to fight bacteria, fungus and acanthamoeba growth on lenses. The solution can still be used by those with sensitive eyes. With the solution's moisture-retaining and disinfecting agents, no saline solution is necessary when using the product. Novartis Malaysia’s head of retail, vision care Elsie Chan told the news provider: "With the introduction of this revolutionary solution, we hope that contact lens users will have a totally refreshed lens-wearing experience and feel the difference that most users have never imagined throughout years of usage. "Now you can enjoy your beloved activities all day long with bright and healthy eyes."